I had a very lovely girls weekend with some loooooong-time friends. There’s something so comforting about spending time with people who’ve known you since you were little and share happy, sad and funny hilarious memories with. I kept my interior Christmas wreathes up in the windows of my house until March. 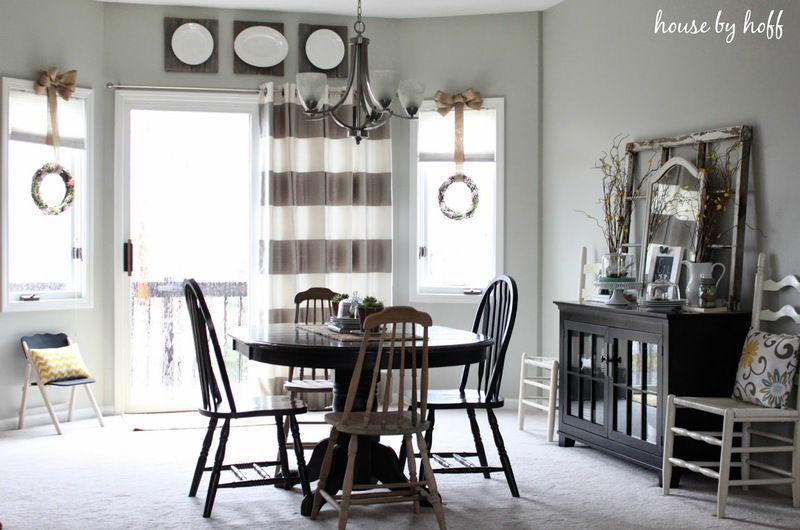 I loved the way they looked and they added some character to our dining room, so I didn’t want to take them down. Then March arrived, and I knew they had to go. 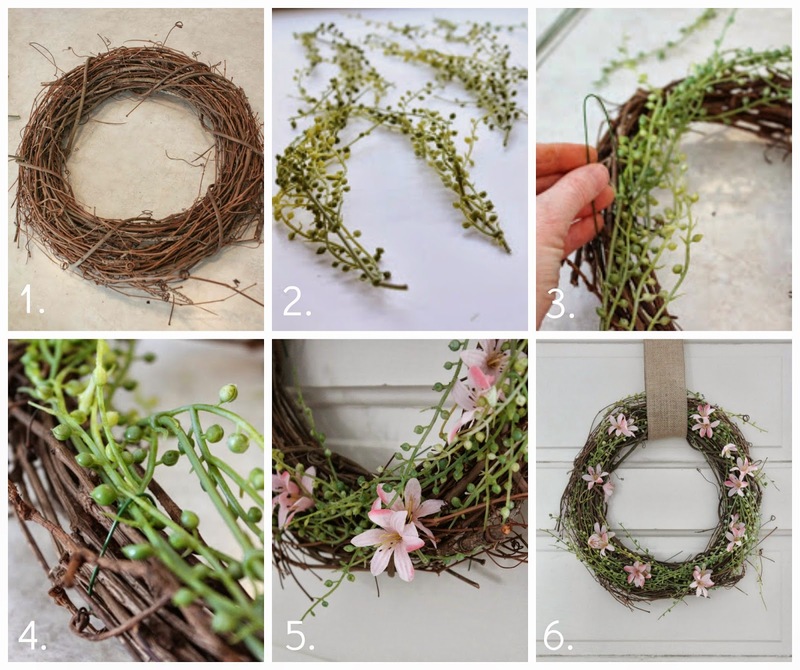 I replaced them with two simple, springy wreaths that were so easy to make! I basically used some floral wire and attached some springy sprigs to a twig wreath. I weaved some flowers in, stood back and high-fived myself for making an easy wreath. Then I made another one. It’s so hard to photograph something with a window behind it, but you can see my two springy wreaths hanging in my dining room windows! 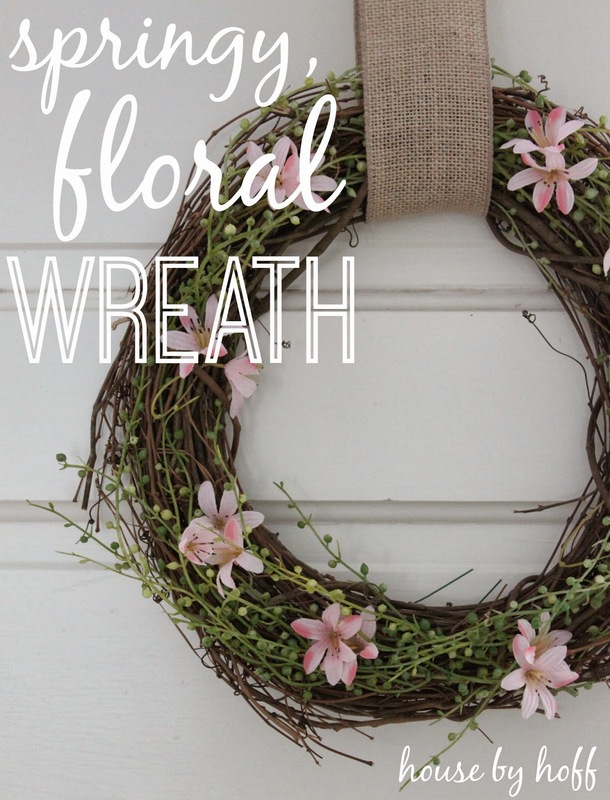 I simply looped the spring wreaths through the burlap bows that held my holiday wreathes! Easy switch! How have you been spring-ifying your house? I’m linking up at: Inspire Me Please! Ha! A naked front door…that just sounds funny! 🙂 Thanks, Christy!